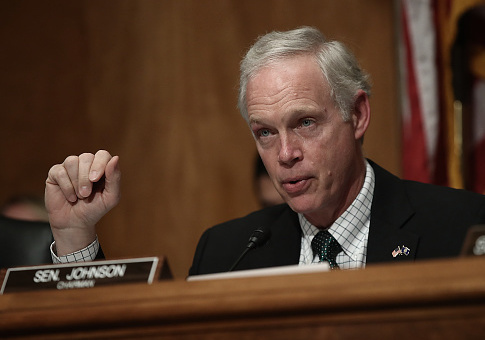 Senate Homeland Security and Governmental Affairs Chairman Ron Johnson (R., Wis.) called on the Office of Special Counsel to investigate further the "conversion" of Leandra English at the Consumer Financial Protection Bureau from a political appointee to a civil-service career position. Job conversions such as English's are sometimes called "burrowing," a process that concerned Republicans during the transition and early months of the Trump presidency. "According to information provided by OPM, it appears that OPM hastily approved Ms. English's conversion in the waning days of the Obama Administration based on information that included errors, potential conflicts of interest, and insufficient independent verification," Johnson wrote to the Office of Special Counsel on Thursday. English became the focus of a high-profile political battle shortly after the CFPB's director Richard Cordray resigned to run for Ohio governor. Cordray named English as his successor, but President Trump made his own appointment, setting off a power struggle in which there were effectively two separate acting directors of the agency. A federal court sided with the White House, leaving the director chosen by Trump in charge. Johnson wrote that the conversion process for English seemed to be rushed. "On December 13, 2016, OPM received paperwork necessary to begin its review of Ms. English’s proposed conversion from a political conversion to a career position," Johnson wrote. "The initial OPM reviewer completed the evaluation by December 21, less than seven working days after receiving the request. By December 30, 2016, 14 working days after paperwork was initially received—and during the holiday season—Ms. English’s conversion passed through four additional levels of staff reviews and was finally approved." Johnson says based on other documentation he received from the Office of Personnel Management, the CFPB did not even present English's application for the career civil service position until "nearly three months after the position posting closed." Republicans have railed against the CFPB since its creation in 2010, calling it unaccountable and unconstitutional. Cordray in particular was a target of many Republican speeches, as well as dozens of tough Wall Street Journal editorials. Johnson concluded the letter by urging the OSC to "review" whether English's hiring at the permanent career position "adhered to the merit system principles." It is a violation of federal law for civil service positions to be decided based on political affiliation, something the OSC is charged with enforcing. This entry was posted in Politics and tagged Consumer Financial Protection Bureau, Richard Cordray, Ron Johnson. Bookmark the permalink.